Getting to know Craig & Karl. 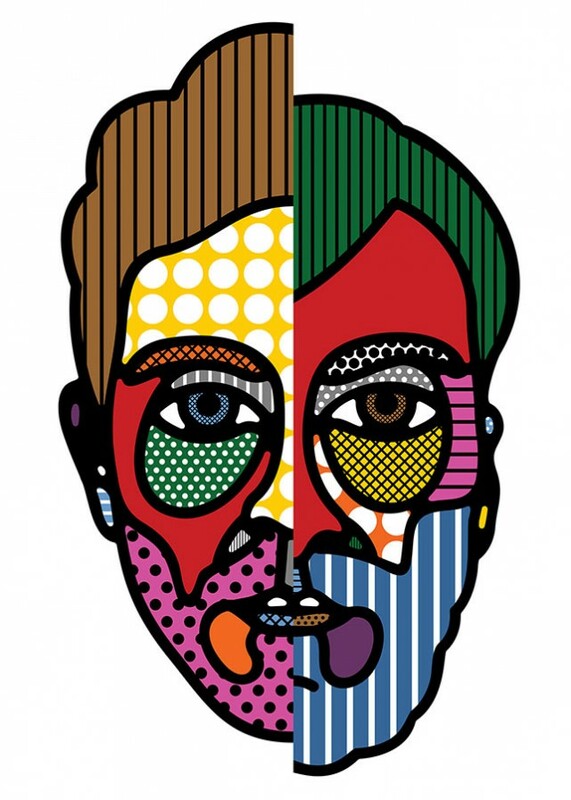 We chat to the new artist duo to Breed, Craig & Karl. For those who don’t know you and your work, can you explain how you work as a duo, and what your work is about? Plus, tell us when and how you started working together (Craig is based in New York and Karl is in London). We met in the first year of our degree at the Queensland College of Art in Australia (where we studied design), and more or less worked on every project together from the first semester to the last. Pretty much straight out of university we started a collective with three friends, called Rinzen, which we were part of for 10 years. About five years ago we left and officially started Craig & Karl. Somewhere in the middle of all that Craig won a green card and moved to New York and we had to figure out how to work together from different sides of the globe. But having worked side-by-side for so long we didn’t find it to be too much of an adjustment, we just kind of got on with it. A while after that Karl moved to London. Even though we live in different cities, we really work in tandem, constantly discussing ideas for projects and sending things back and forth. Our work is very much a reflection of our personalities and sense of humour. We think it’s important to have a point of view and try to get that across as much as possible. Do you think there are advantages to working together in this way, and how would you say you complement each other in the way you produce work? There are. We get to be present in two places and cultures at the same time and can bring different references or understandings to the table. We instinctively get each other, which makes operating in two different cities across the Atlantic workable. Often it’s simply about getting a fresh set of eyes and perspective on something we’ve been working on. One of us might have a general idea for something and the other can come at it from a different angle and we’ll end up somewhere new and unexpected. That’s what keeps it interesting and exciting. It’s all a conversation. You work internationally on projects, in the UK (Breed is just representing Craig & Karl in the UK), USA, Europe and Australia – could you highlight some of your favourite projects over the last year? Any projects you’re excited about releasing over the next few months? Last year we created a giant installation in Chengdu, China. The piece was made from 13 tonnes of candy pieces and covered nearly 14,000 square feet. It was part of an exhibition curated by Hong Kong-based AllRightsReserved to bring awareness to the plight of underprivileged children in rural areas. Our piece celebrated the Chinese New Year in a festive and celebratory way and the artwork within the candy carpet encompassed a variety of symbology, from blooming flowers which symbolise good luck to stylised pandas (Chengdu being their home town). Another favourite was our capsule collection of beauty products made in collaboration with Sephora. We have some other installation work in the pipeline that we’re looking forward to realising this year. Unfortunately we can’t really say much about it at the moment. Your mural work is also very striking. Is this of particular interest to you and a medium in which you like to work? For sure. The scale and immersion of mural and installation work are really appealing to us. They literally add another dimension and are interactive on a whole other level. We’re always excited to work in a different medium or towards a new kind of outcome. It helps to keep things fresh. It’s an obvious question, but what inspires you in the way you create? It’s mostly about being influenced by the world around us, rather than intentionally searching for inspiration. Sometimes it might be something random we come across while digging around on Google Images that sparks an idea. It’s more often real world stuff and popular culture as a whole that triggers something though. We tend to cast the net pretty wide in that regard. Just trying to be receptive to interesting or amusing connections that we can play around with.